Whether you have a oriental rug or any other type of area rug, the first step is discussing the cleaning process with you and addressing your concerns. Luv Ur Rug uses a patented process to safely and effectively remove years of loose debris from your area rugs that can not be removed from the basic vacuum/rug cleaner. This is a critical step before any cleaning products are introduced. Our professional area rug dusting machine produces 43,000 harmonic vibrations per minute to loosen the soil. 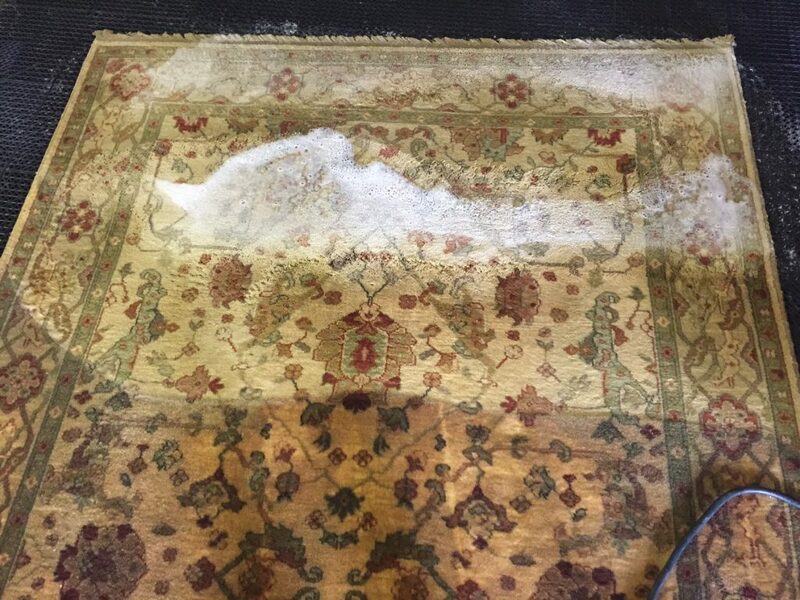 Depending on soil level and/or special problems your area rug may have, Luv Ur Rugs will use industrial accepted cleaning agents to loosen greasy soils, address odor problems, and leave your area rug clean and fresh with a thorough rinsing afterward. Luv Ur Rug uses professional spot removal products to work on any stains that were not removed during the initial area rug cleaning procedure. We use high speed drying tables and high volume fans to dry your area rug thoroughly. After cleaning we groom the area rug, comb out fringes, and then rolled up your rug, store it, and is ready for your pick up. Luv Ur Rugs will call when your rugs are ready to pickup.